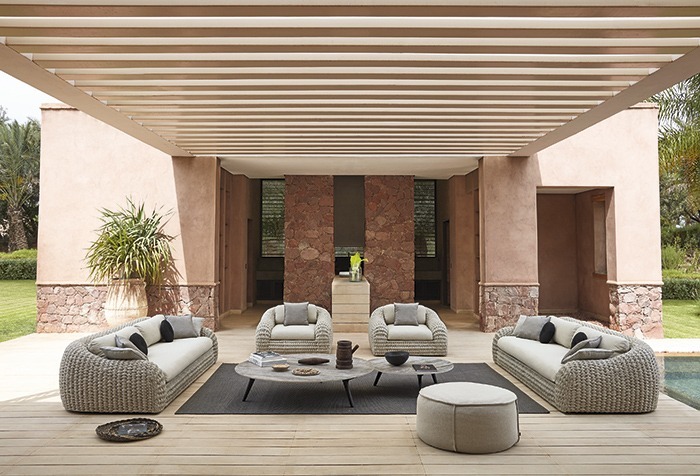 Outdoor furniture specialist Manutti has extended its Kobo collection to include a new lounger model, complementing the existing 1- and 3- seat options. Comprising a structure made entirely of hand-woven rope around welded aluminium pepper and anthracite frames, the range seeks to create a cocoon of relaxation by way of rounded shapes and flowing profiles. 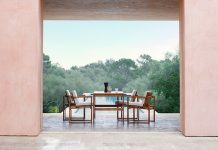 These new pieces join similarly new releases including the Lionel Doyen-designed Solid Chair in brushed black teak, and the Prato table with its brushed teak nero top. Kobo is available with a wide variety of cushion colourways, whilst its wooden materials have been manually sanded, brushed and treated with a special technique that supports its structure. See more of the Kobo collection in the video below.